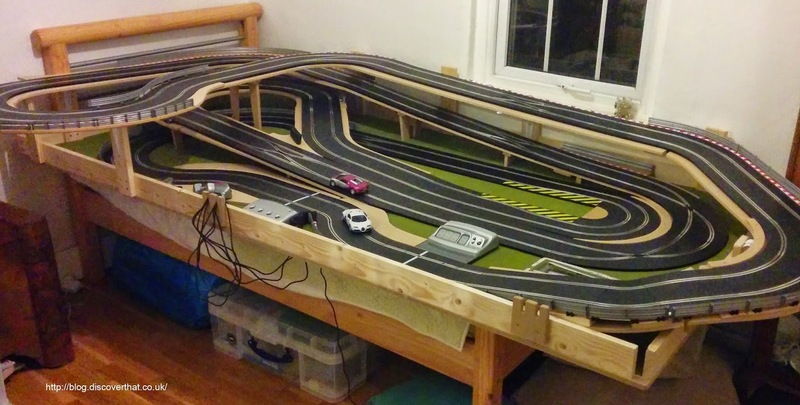 In my efforts to get as long a Scalextric circuit as possible in to my small 2.4m x 1.2m (8' x 4') space I have gone upwards. At one point there are 4 levels of roadway. The tricky bit is maintaining visibility. 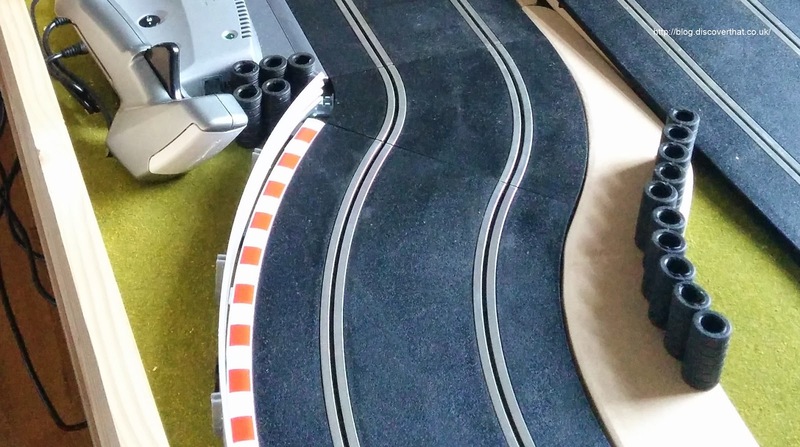 It's no good having a long track if you can't see the cars or recover them when you leave the slots. 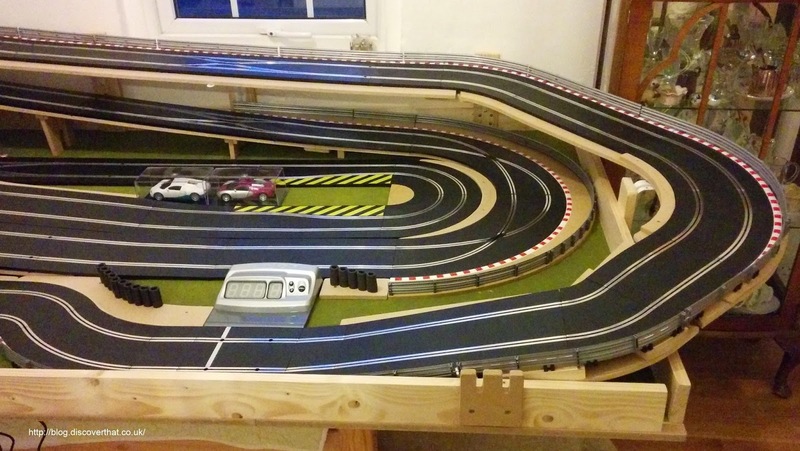 The circuit I have put together has as many long straights as I could fit and starts with a hill climb. It's difficult to see this from the 2D plan. 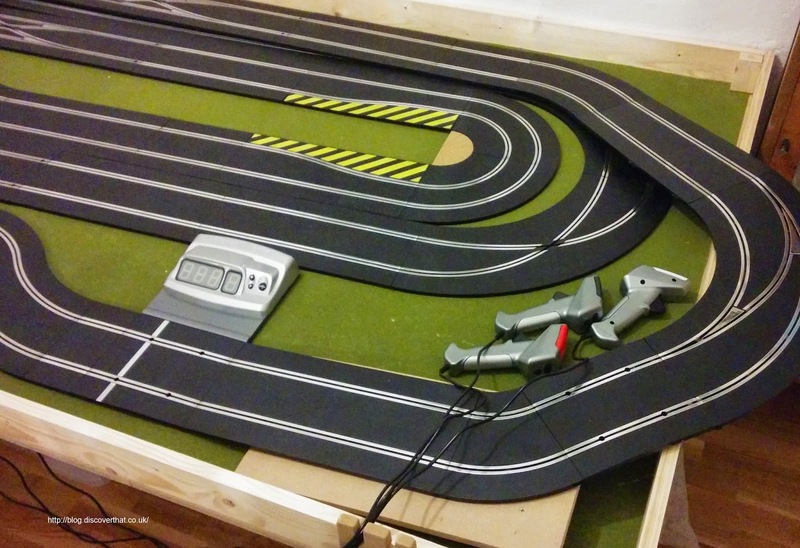 In my opinion the slopes add interest when driving the track. 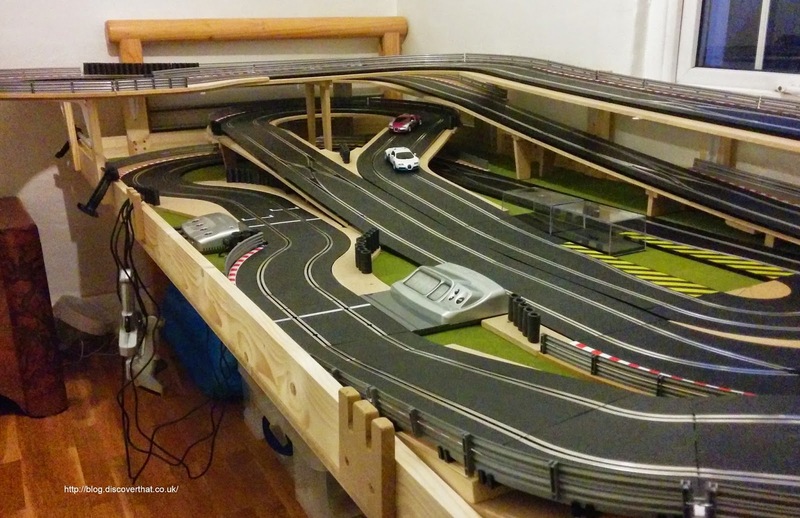 The circuit is a little over 17m (nearly 52') long including the overhangs. 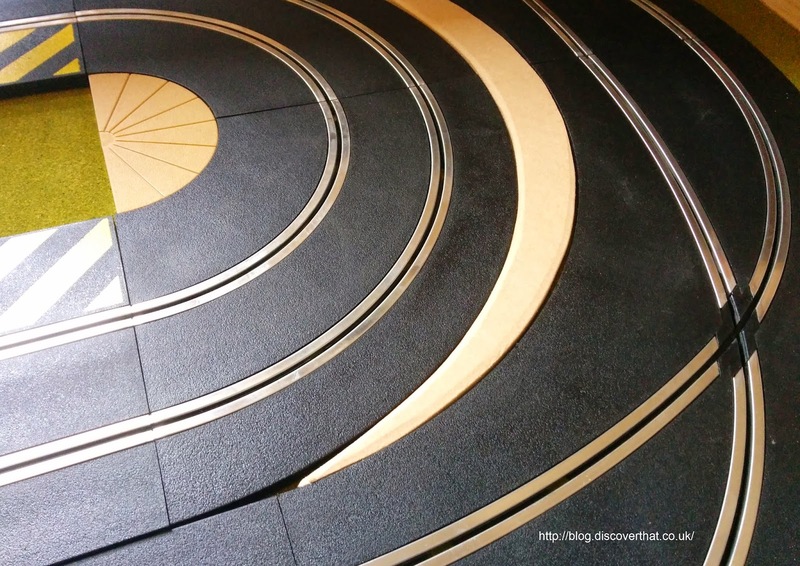 I can accommodate some bits of the track going over the edges in my attic room. 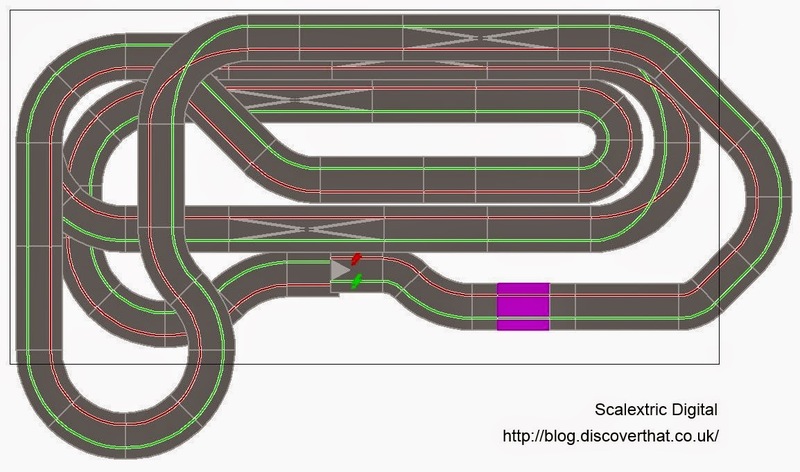 The same track shape can be shortened to squeeze in to only 2.4m x 1.2m with no over hangs but that reduces the length to about 16m (just under 50') long. 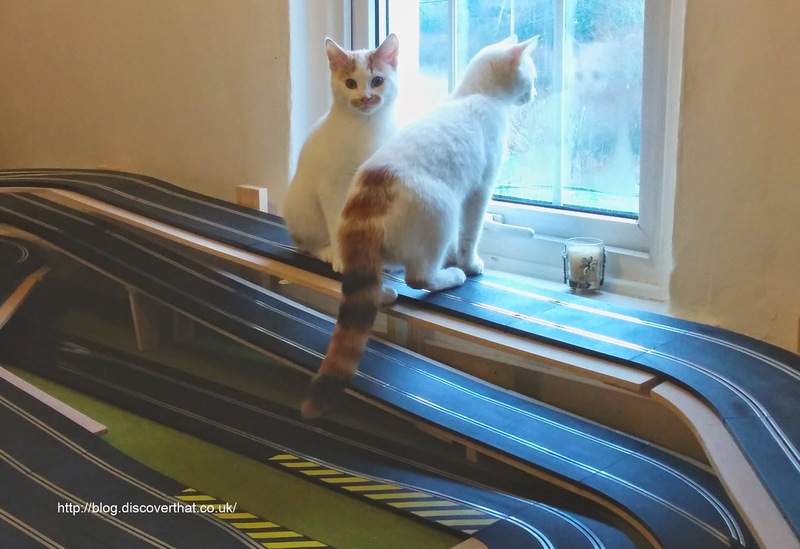 The bridge supports are tested to the required, two cat weight. As detailed in earlier posts, I've added barriers and tyre walls where needed to minimise how far the cars can fly off the track. As an added nicety I've included curbs for some of the circuit. All the more beneficial curbs are complete and I'll add more of these over time to finish off the edges.